The Viagra Of The Himalayas Brings In Big Bucks And Big Problems : Goats and Soda A fungus consumes a worm and sprouts out of its head. The resulting ... thing ... is deemed an aphrodisiac and sells for more than gold. How do you keep people from killing each other to harvest it? The fungus known as yartsa gunbu is a big seller in Chinese markets, where people pay top dollar for the alleged aphrodisiac. 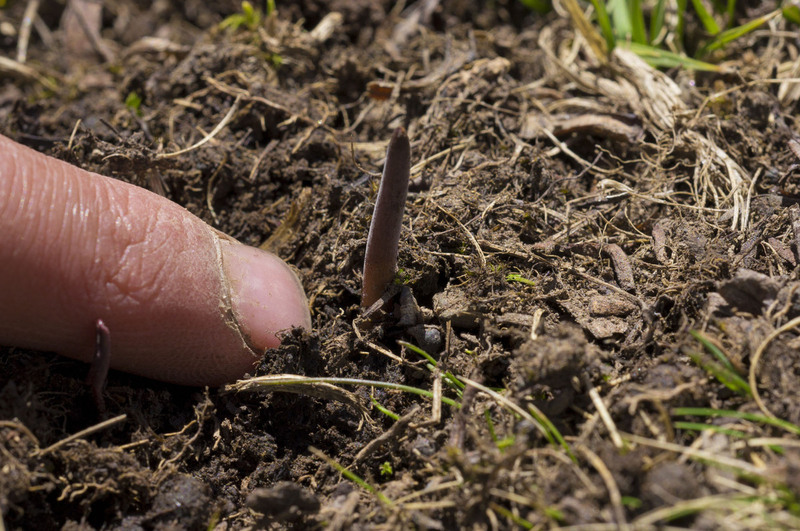 You need keen eyesight to spot yartsa gunbu when it sprouts in spring. Kids are very good harvesters. People live for — and die because of — the "Viagra of the Himalayas." That's the nickname for one of the weirdest fungi around. It starts with the larva of the ghost moth — a caterpillar that lives underground. A fungus invades the larva, kills it and consumes the body. Just the outer skeleton remains. Eventually, a small brown stalk erupts from the dead caterpillar's head. 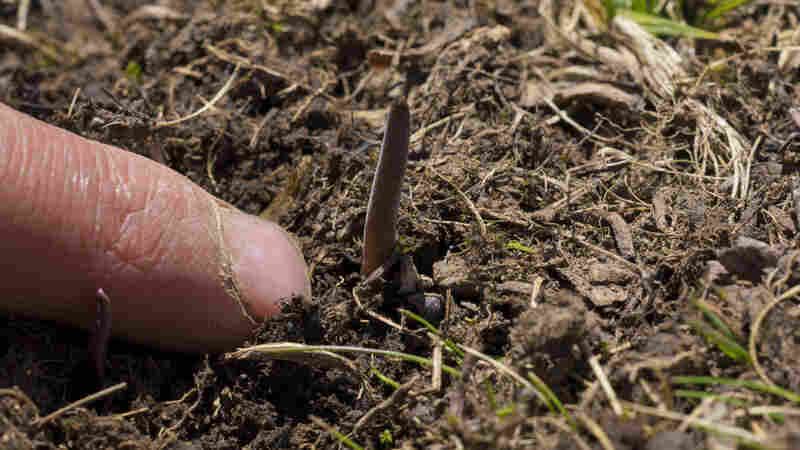 In the spring, the pinkie-size stalk pokes an inch or two from the earth. That's when people across the Tibetan Plateau head to the high-alpine meadows to harvest the crazy-looking creature. It's not just for the fun of it. For centuries, people have believed that the fungus known as yartsa gunbu, literally "summer grass, winter worm," is an aphrodisiac. According to ancient Tibetan texts, men who eat it are promised "the delights of thousands of beautiful women." That's why top-quality yartsa sells for around $2,000 an ounce — more than the price of gold. In China, yartsa is a status symbol. And in Tibet, people fight over it. They sometimes even kill each other. In 2014, a dispute between the local community and a park management committee about the right to collect fees for access to yartsa gunbu led to two deaths. Plus there's a risk that the demand will deplete the grasslands and alpine regions of the Tibetan Plateau. 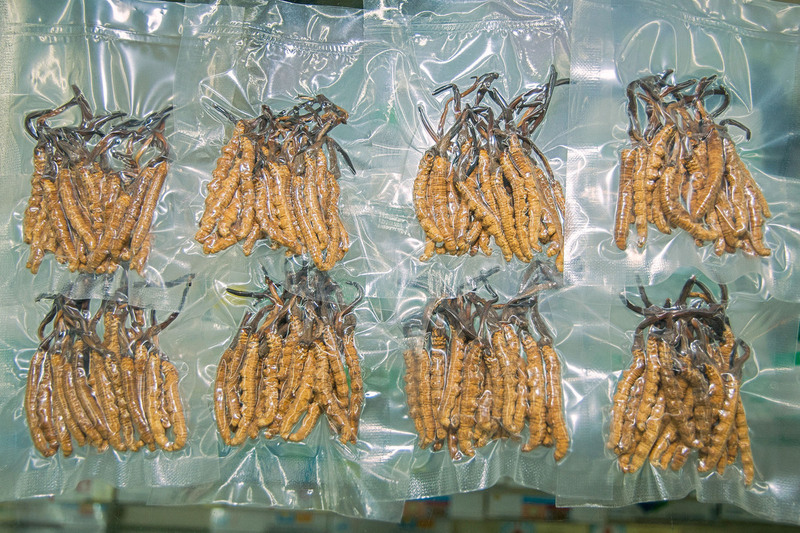 "Any resource of such immense value and key relevance to rural livelihoods as the main cash source runs the risk of being overexploited," says Daniel Winkler, an expert on Himalayan caterpillar fungus. New research by Washington University associate professor Geoff Childs and graduate student Namgyal Choedup, published in the journal Himalaya, shows how two villages have found a way to sustainably (and peacefully) harvest the precious resource. In Nubri, village leaders set a date for the start of the harvest. In the weeks prior, residents must check in at the community meetinghouse four times daily. "The roll call is designed to thwart attempts by any individual to begin collecting earlier than others," the authors say. Since the trek to the nearest gathering ground is several hours away, it's nearly impossible to sneak off and dig for yartsa gunbu. There's also a heavy fine for those who don't check in. While all residents in Nubri have a right to collect yartsa gunbu, each household is required to register any collectors and pay a corresponding tax — $1 for the first member and $53 for each additional members. That's not just pocket change in a part of the world where the yearly income can range from $24 to $3,500. The tax money funds repairs and services, from fixing the hydroelectric system to hiring a lama to perform an empowerment ritual. Local rituals and certain Buddhist beliefs have helped keep the harvest under control. Religious decrees prohibit harvesting on certain sacred mountain slopes. This creates a natural sanctuary, ensuring that part of the landscape will remain undisturbed and allowing fungal spores to spread for the next season. The village of Tsum prohibits outsiders from gathering yartsa gunbu. Locals are using the profits from yartsa gunbu sales to build lodges that cater to foreign tourists and also to purchase gold as a way to hold on to their yartsa wealth. The money has been invaluable. In some cases, it makes up 80 percent of a household's income. "Tibetans are using the cash to improve their standard of living, and in some cases are reducing dependency on agro-pastoral activities by becoming entrepreneurs," Childs and Choedup write. Profits pay for everything from school supplies and DVDs to solar panels and gold jewelry. But then there's all that tension to deal with. One man from the Nubri Valley told Childs and Choedup that "Earlier, we only had village meetings once or twice a year. Nowadays there are frequent meetings with more arguments between people, more squabbles. People are becoming selfish." If Tibetans follow the example of the two forward-thinking villages, then maybe fungus gatherers can learn to get along with each other — and with Mother Nature.